Prosecco is today one of the best-known and most popular sparkling wines in the world, thus becoming an icon of Italian style. It’s is a wine with controlled denomination of origin, produced exclusively in the North-East of Italy in nine Provinces of Veneto and Friuli Venezia Giulia. It may be DOC or DOCG, depending on the zone of production. The quality of Prosecco may be conceived of as a pyramid. 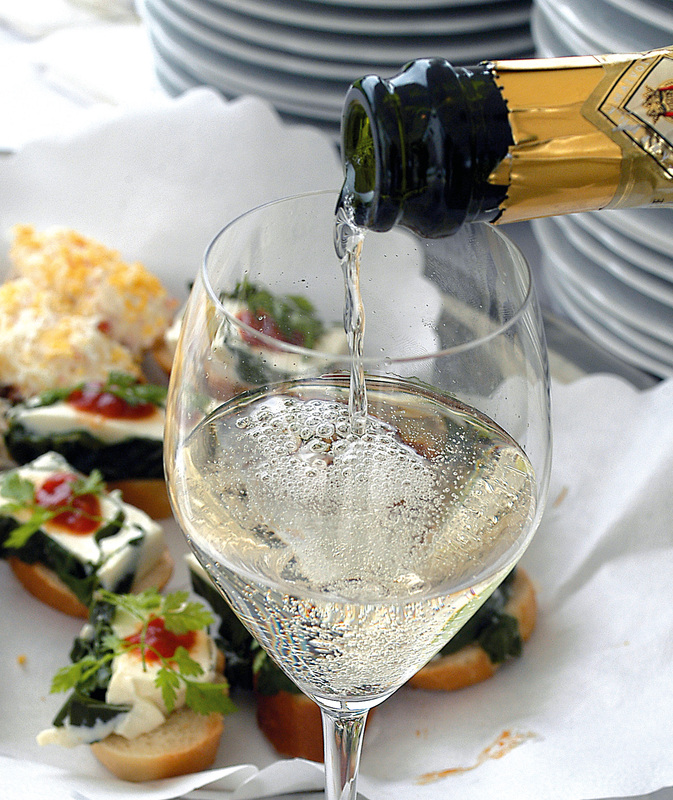 At the base there is Prosecco DOC, produced in all nine Provinces of the two Regions. 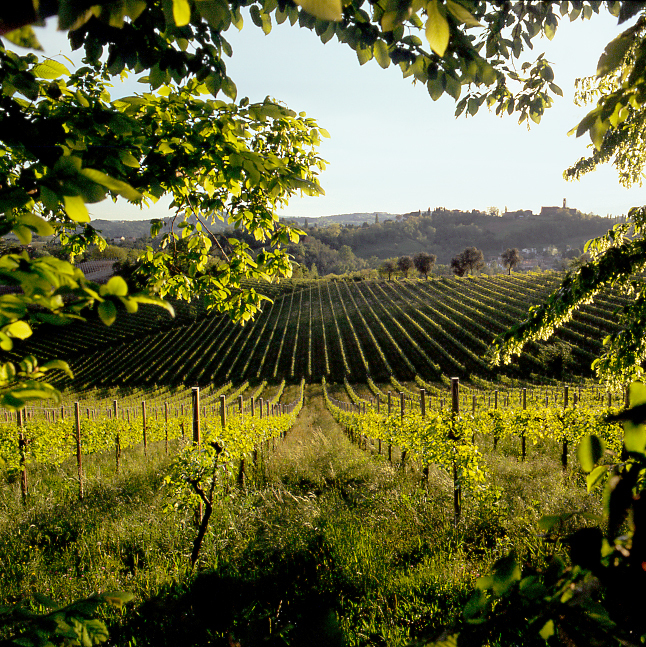 At the intermediate level there are two DOCGs: Conegliano Valdobbiadene Prosecco Superiore and Asolo. At the summit of the pyramid is Superiore di Cartizze DOCG, the Grand Cru of Conegliano Valdobbiadene. For Italian wines, DOCG status is the highest level of quality recognition: every bottle bears a special strip with a consecutive number that makes it unique and traceable, thus providing an extra guarantee for the consumer. The Conegliano Valdobbiadene zone includes 15 communes that are dotted around the hills that lie at the foot of the Treviso Prealps. The vineyards of the denomination cover almost 6.000 hectares. The climate is pleasant, mild and temperate, to the extent that in times past the aristocracy of Venice liked to spend its summers here in order to get away from the sultriness of the Lagoon. Winters are not excessively cold and summers are hot but not too humid. The growing area for Conegliano Valdobbiadene Prosecco Superiore is entirely on hillsides and viticulture is carried out almost exclusively by hand. One only has to bear in mind that here up to 600 hours are required per hectare of vineyard compared to 150 on the plain. The various soils, exposures, gradients and altitudes give rise to marked differences of taste in the wines, which are to be found in particular in the Rive category, made exclusively from vineyards in specific micro-zones. Cartizze, the Grand Cru of the denomination - where the wine of the same name comes from - deserves a separate mention. It is a zone of very high hills lying between the hamlets of Santo Stefano, Saccol and San Pietro di Barbozza, in the commune of Valdobbiadene. The vineyards of Cartizze cover a mere 107 hectares and the vines here are often very old. The value of the vineyards is extremely high, even reaching estimates of 1 million Euros per hectare. One of the aspects of the zone’s uniqueness is the beauty of the hills of Conegliano Valdobbiadene, which have been defined as a “cultural landscape”. In 2008, with the aim of safeguarding them, a project was set in motion for the area to be recognized as a UNESCO World Heritage Site and the zone has now been inserted in the Tentative List for Italy. The Conegliano Valdobbiadene Prosecco Superiore denomination includes 6.000 hectares of vineyards, cultivated by around 3000 vine-growers. There are 166 wineries in the area, producing about 70 million bottles. Overall, 5.000 people are employed in the wine sector. These numbers led to this area being recognized in 2003 as Italy’s first Sparkling Wine District. In recent years Conegliano Valdobbiadene Prosecco Superiore has experienced a real boom in sales. Between 2003 and today, turnover has risen from 250 million to 450 million euros. In the last eight years exports have grown by 98%. Today around 40% of the entire production is exported to more than 80 countries all over the world with a volume of more than 28 million bottles. These figures demonstrate that this wine’s propensity for export is very close to that of Champagne and goes to show the growing appreciation for Prosecco Superiore DOCG among international sparkling wine consumers. Germany maintains its role as the world’s leading market, while the North American market is in second place. A positive performance has been registered in Switzerland. The Denomination’s potential for growth has also been confirmed by the results obtained in other destinations both in Europe (Eastern Europe, Russia, Scandinavia, Benelux, etc.) and elsewhere (Latin America, Brazil, Oceania, Canada, as well as other countries in Asia and Africa). The Consortium has been founded in 1962 and today groups together virtually all the producers in the area. The role of the Consortium is above all to protect Conegliano Valdobbiadene Prosecco Superiore and provide technical assistance to producers both in the vineyard and in the winery in order to ensure constant improvements in overall quality. The Consortium also promotes knowledge about the product in Italy and abroad through educational activities, the organization of events and fairs, and relations with the press.